Pioneers in the industry, we are offering an excellent range of Lip Pouring Ladle. These industrial products are manufactured by our engineers using high grade raw material & innovative machines under the guidance of our quality controllers. 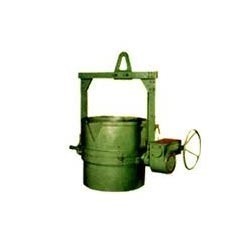 Used to ladles in bulk quantity, we offer this range in several technical specifications. These industrial products are appreciated by a large number of clients for their precise performance. Founded in the year 1974, at Jalandhar (Punjab, India), we, “Bansal Steel Industries”, are the leading name, engaged in manufacturing and supplying a comprehensive assortment of Sand Mixer, Intensive Sand Mixer, Rotary Sand Siever, Rotary & Cupola Furnace, Industrial Blower, Industrial Chimney, Forging Furnace, Crucible Tilting Furnace, Bell Annealing Furnace, etc. Manufactured utilizing splendid quality raw material & sophisticated technology, offered range is precisely designed with great precision to precisely meet the set international norms. These products are highly apprehended among our cherished clients for their unique features such corrosion resistant, easy installation, low operating cost, reliability, smooth finish, dimensional accuracy and long service life. As per the various necessities of customers, these products can also be availed by them in both in customized options and standards. In addition to this, the entire range is available in varied stipulations & dimensions to suit the assorted demands of customers spread all across the country. Our prestigious customers can avail the offered products from us at rock bottom prices.